A car accident is a big shocker and it is important that you keep calm to keep things in control. A ruckus over the damage can cause you significant harm as you may lose energy, consciousness and increase the stress level of your already traumatized mind. As soon as you hit back to your senses, run a thorough check of the well being of the parties involved in the accident. Start with yourself and your co-passengers and then approach the other party. Dial the emergency number 911 and report the accident. You must also report about any casualties that you have analyzed so that the police and the medical help can arrive prepared. Take out your mobile phone and take as many pictures as possible of the accident spot. Also, you must collect information about the other party involved and the contact details of eye-witnesses. 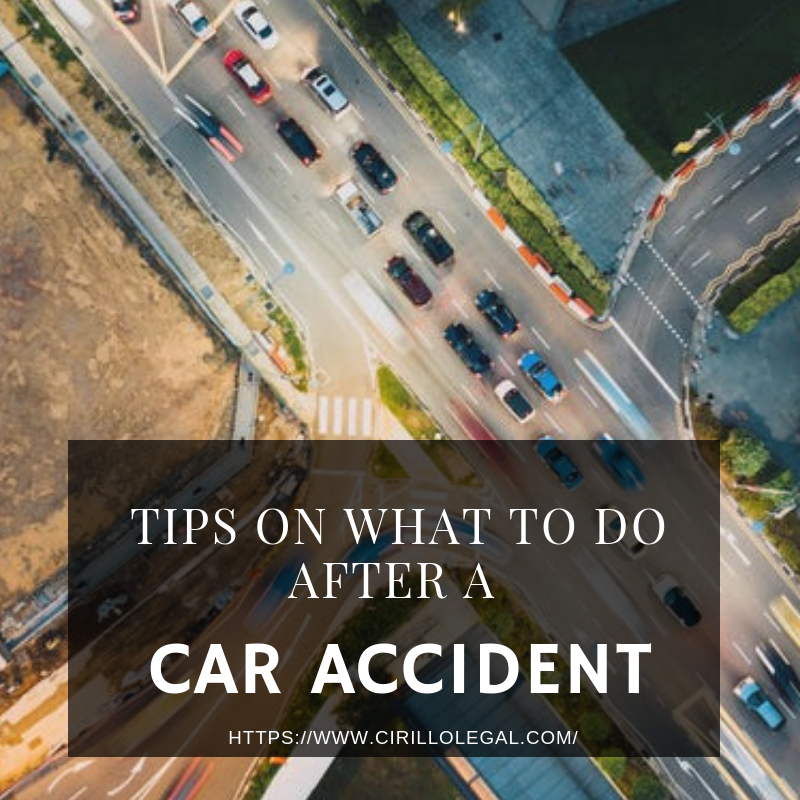 If you are the victim of the accident, this will help you in preparing the insurance claim with the help of a personal injury attorney. It is important to hire a personal injury lawyer to ease the process of compensation claims. In case you have been in an accident because of the fault of the other party, it is your right to claim compensation for your loss. This loss will cover medical expenses, loss of income and other expenses that have occurred because of the accident and the injuries you sustained. Hire an experienced lawyer and make sure you are fairly and timely compensated. An accident can be traumatic but the after effects are even worse. Follow these tips and ensure an easy recovery.